Fans of one Keeping Up with the Kardashians couple are likely pretty interested in a new report. 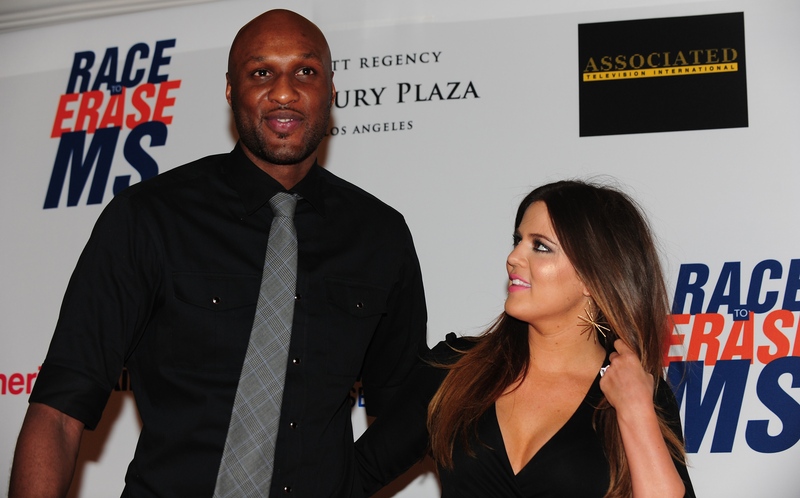 TMZ reports that Khloe Kardashian and Lamar Odom have allegedly called off their divorce. The site claims that Kardashian's lawyer Laura Wasser went before a judge Wednesday morning to stop Kardashian and Odom's divorce papers from being filed. Previously, TMZ alleged that the files have had yet to be processed since Kardashian filed them in 2013. The celeb gossip site also claimed that the divorce file is now dead. Bustle has reached out to reps for both Kardashian and Odom, but did not hear back at the time of publication. Rampant speculation began to surround the once-former couple after the two-time NBA champion was found unconscious at a Nevada brothel on Oct. 14 and Kardashian flew to Nevada to visit him in the hospital until his release Monday. Tuesday, in the wake of Odom being released from the Nevada hospital, TMZ also claimed that Kardashian has put her relationship with Houston Rockets player James Harden "on hold."